Lead, Nickel & Cadmium Free! 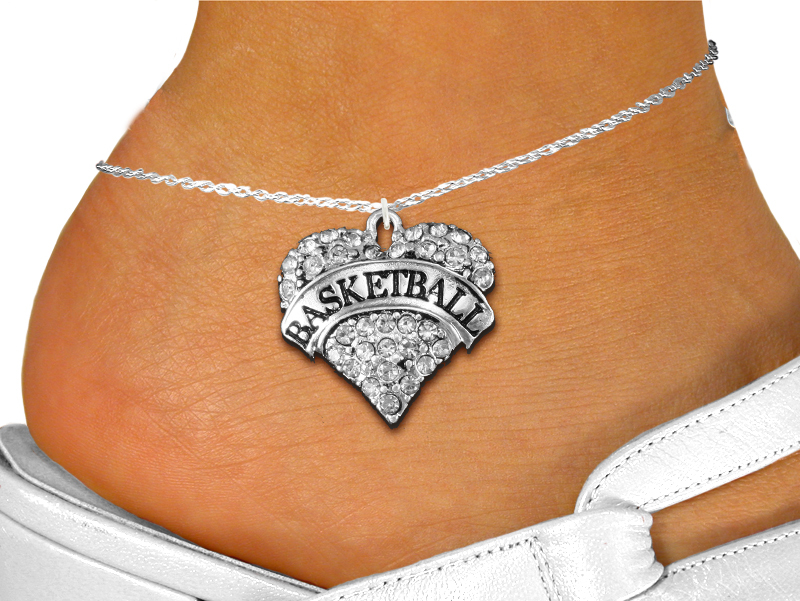 Anklet Suspends A Detailed Antiqued Silver Tone "Basketball" Crystal Heart Charm, That Is Covered In Faceted Clear Crystals With Black Accents On Heart. Charm Measures: 1 1/4"h x 1/2"w.